While maintaining the micro-stocks on stock photography websites is a good option for selling the photographs online, there are scores of other options as well. For instance creating web galleries and portfolio websites or offering the images to be used for crafting amazing photo-gifts (cards, mugs, t-shirts, teddy bears, etc) or perhaps registering with the websites which offer business and marketing tools to professional photographers. These options which weigh more on the fronts of flexibility and freedom of posting / uploading the images unlike the rules, restrictions and rejections of the stock photography websites. With the emergence of online businesses, a number of companies and websites have emerged over last 5-10 years which offer promotional and marketing tools even for photographers. Here are some of the websites designed especially for helping the photographers boost their sales online. PhotoBox: PhotoBox is a photo gallery service which along with offering digital photo printing services provides you an opportunity to sell the photographs. 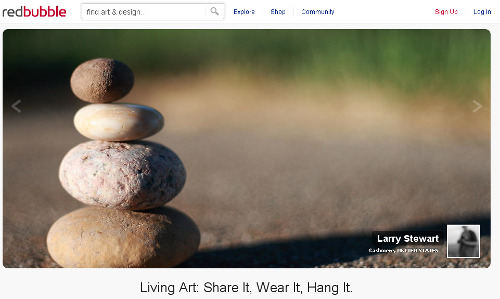 Get started with creating the galleries and set the prices for the images. Photobox takes up the responsibility of processing, printing and posting the photographs to your clients. Instaproofs: Instaproofs helps you in promoting and marketing the photographs. Some of the promotional tools include automated sale and discount notifications, social bookmarking, photo forwarding, exportable visitor lists and a referral commission program which paves way for gaining viewers and potential buyers for your photos. Along with the promotional activities, Instaproofs also engages in presentation and payment process, thus completely relieving you of the hassles involved in marketing your product; the photographs. ifp3: ifp3 is an excellent tool for showcasing your work in your own style. ifp3 helps you in creating advanced and professional photography (flash) websites with great ease. Choose the template theme, create pages and galleries and set up the shopping cart to sell the products you want. You can experience the ease of creating your own website with the free trial and eventually own a professional website for $20 per month with one year subscription plan. DigiLabs: Digilabs offers easy studio branded photo solutions for the busy professional photographers. The simplest of applications to get started with DigiLabs is the web gallery. DigiLabs web galleries enables you to create a storefront that showcases your studio brand, reflects your unique style and seamlessly integrates with your web site. Smugmug: Smugmug offers you a variety of features. Its primary purpose being the photo sharing and digital printing service, it also offers solutions for creating custom websites, provides various sales tools and provisions buying and selling the prints. 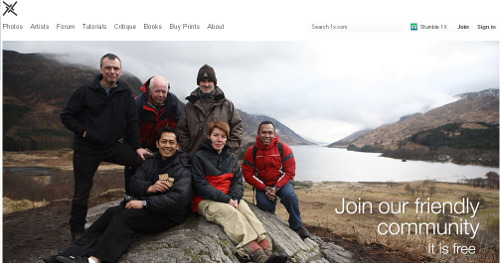 PhotoMerchant: Photo Merchant is a complete online solution for professional photographer. Along with designing your own photography websites, it provides you an opportunity to sustain the photography business by providing the features for hosting, selling and delivering the photographs to your customers. 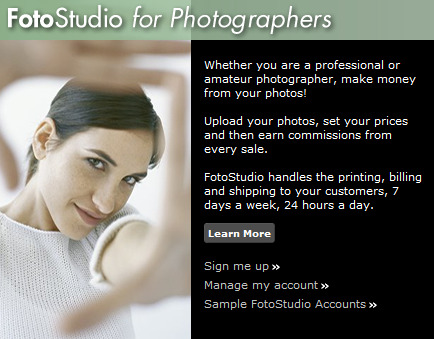 Exposure Manager: Exposure manager offers business tools for photographers. Online proofing, order management, e-mail campaigns, discount promotions, customer service and order-shipping; Exposure manager offers a host of features for boosting the sale of your photographs online as well as offline. 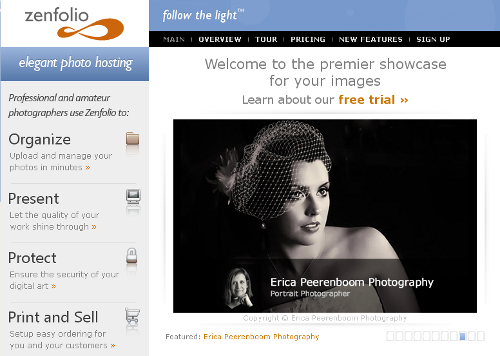 ZenFolio: Zenfolio targets photography from the perspective of providing platform to the photographers and their work. The elegant, customizable presentation and sales solutions offered by Zenfolio make it easy to sell the prints to online audience. Photo Shelter: Photo Shelter is a good option for creating portfolio websites powered with features for marketing and archiving tools to boost the photo sales. 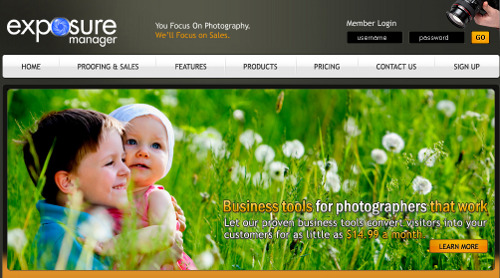 It offers a complete solution to make the business of photography easier to manage. Photo Shelter offers image security, online image delivery, and advanced marketing tools like SEO and social media sharing capabilities so that photographers can focus more on their core-competencies of creating beautiful images. 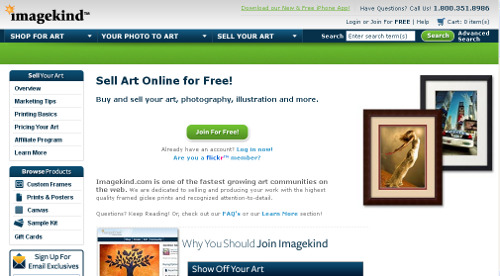 Imagekind: Image Kind is the subsidiary of Cafepress, the online shop for selling photo-gifts and t-shirts. It is a community of artists which enable you to display your art to a global audience in public, private or locked galleries. Imagekind is dedicated to selling quality framed prints and deals with order processing, customer service packaging and worldwide shipping. 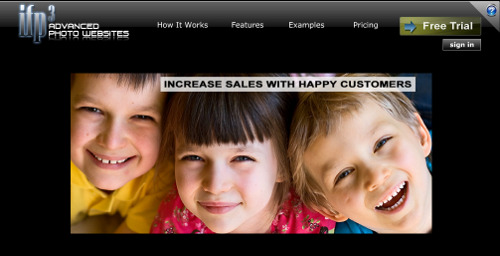 Picscliq: Picscliq taps in the power of social media as a sales tool. 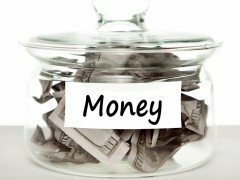 Go social and sell more is thus the mantra of Picscliq. It enables you to design beautiful website interface free of cost and helps you keep track of your sales in real time. RedBubble: RedBubble assures selling your works hassles-free. The work of the photographers / artists ends with the supply of digital files which are taken care of by the photo-products created by RedBubble. 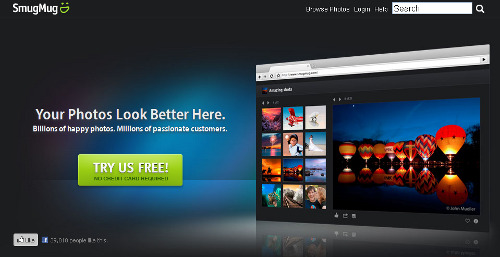 1x.com: 1x is an online photo gallery and social network. Even though the primary purpose of the website is to provide exposure to photographers and their works, it does offer features like buy prints which encourages the photo-sales. 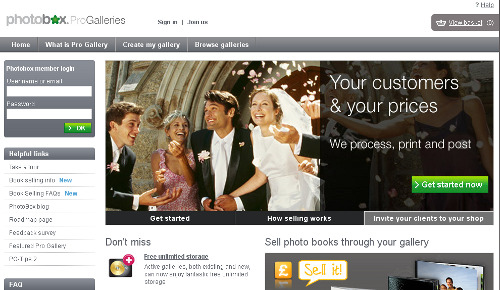 How do you sell your photographs online?